Adults eat insects - flies, grasshoppers, beetles, spiders, crickets, grubs, slugs, centipedes, millipedes and worms. Tadpoles eat freshwater algae plants and other water plants. Have four fingers on each hand and six toes on each foot. Some are poisonous and they excrete the poison through their skin. Have leathery skin (not slimy). See mostly in blues and greens. Do not have teeth (unlike frogs) so they cannot chew - they will swallow their meals whole. Will not eat their food unless it moves. The Cane Toad is venomous. The Surinam Toad absorbs its eggs into the skin on its back until they hatch. The female Surinam Toad lays 100 eggs, which the male helps her attack to the sticky skin on her back. 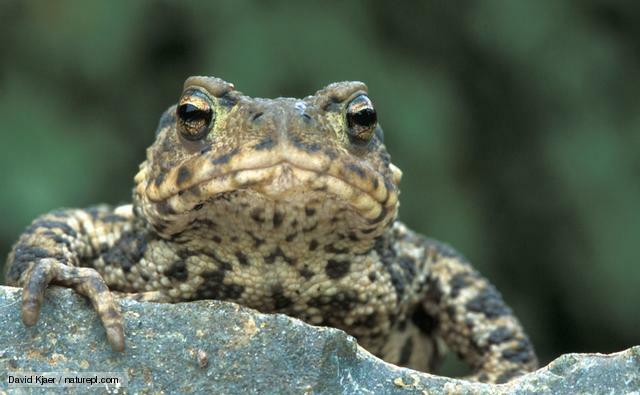 64% of the diet of cane toads is other cane toads.